Aise Na Dekho is a lovely song from Tanu Weds Manu fame director Aanand. 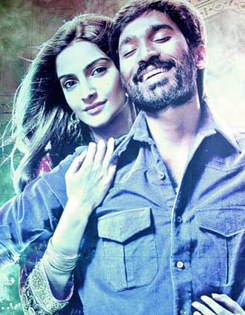 L. Rai's film Raanjhanaa starring Abhay Deol, Dhanush, Sonam Kapoor and Deepak Dobriyal. Lyrics of Aise Na Dekho is written by Irshad Kamil. This track is composed and sung by A. R. Rahman superbly. Na waah waah.. na hamdardi..